Laguna Beach Live! Presents Jazz Wednesdays February 27 — Laguna Beach Live! Jazz Wednesdays Winter 2019 presented by Laguna Beach Live! 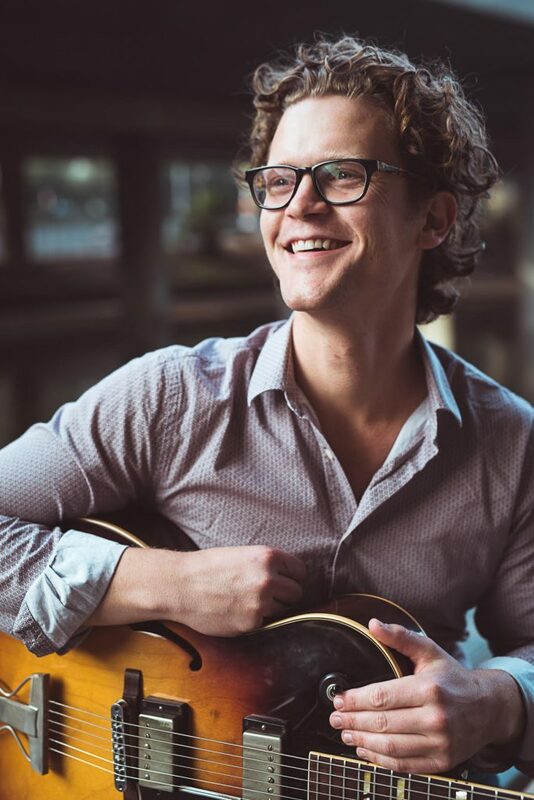 Guitarist and composer Will Brahm tours extensively within the United States and has also toured to Asia, Canada, and Europe with his music. He also plays with the critically acclaimed New West Guitar Group, and has worked with artists including The Gordon Goodwin Phat Band, Kim Richmond, Jimmy Branly, Otmaro Ruiz, Gretchen Parlato, Sara Gazarek, and Jane Monheit. His new album “Venture Atlas” is to be released in spring of 2019. Will is accompanied by his world famous all stars and vocalist Adryon de Leon. Our last 2 concerts have been sold out! Buy your tickets early! Jazz Wednesdays Winter 2019 is in the distinctive [seven-degrees] event facility, 891 Laguna Canyon Rd. Concerts are 6:00-8:00 pm, doors open at 5:00 pm. Full bar and buffet dinner menus are available for purchase starting at 5:00 pm. Tickets are $25 in advance, $30 at the door. Seating is assigned. Reservations are accepted until noon on day of concert or until sold out. For more information visit www.lagunabeachlive.org or call 949-715-9713.